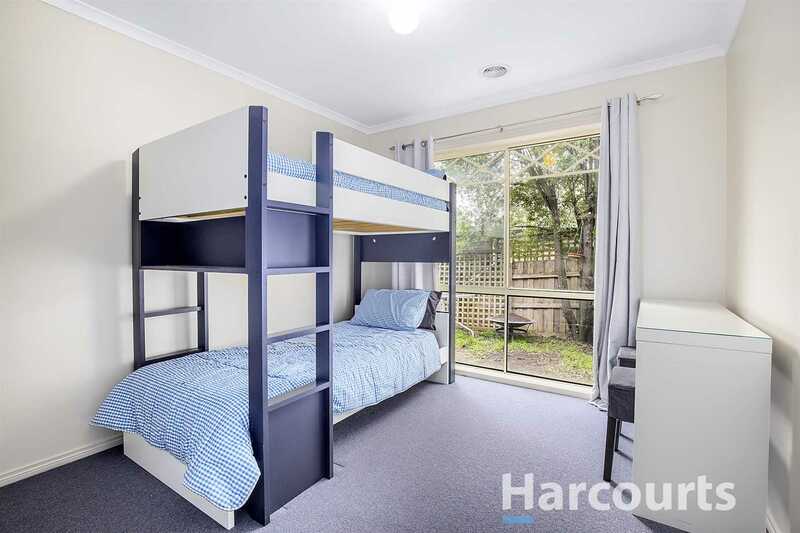 Just a 10min walk to the train station, primary school and village shops - all you have to add here are sneakers. 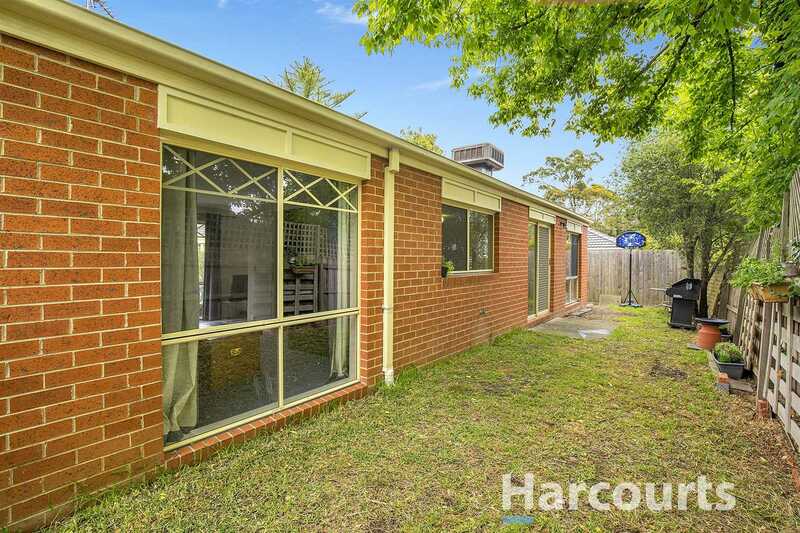 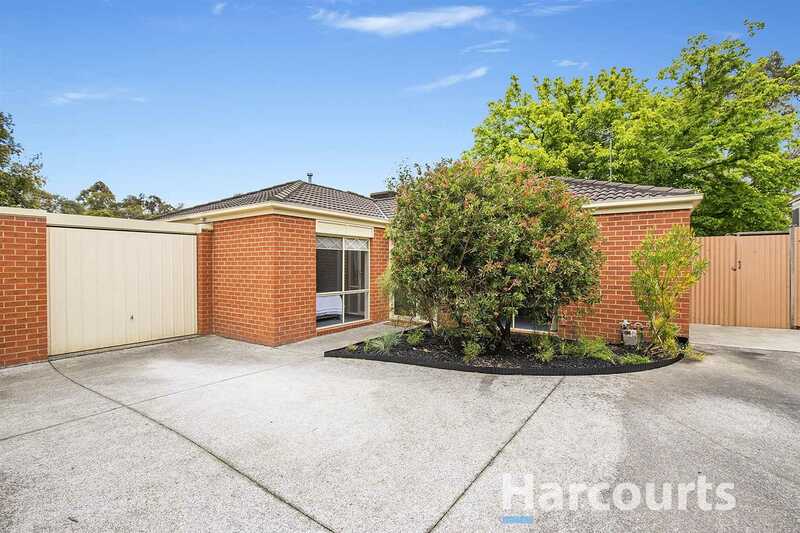 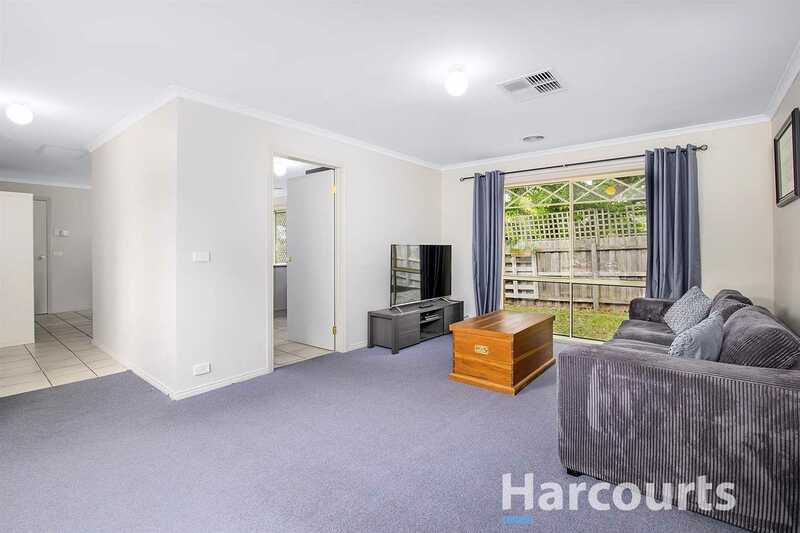 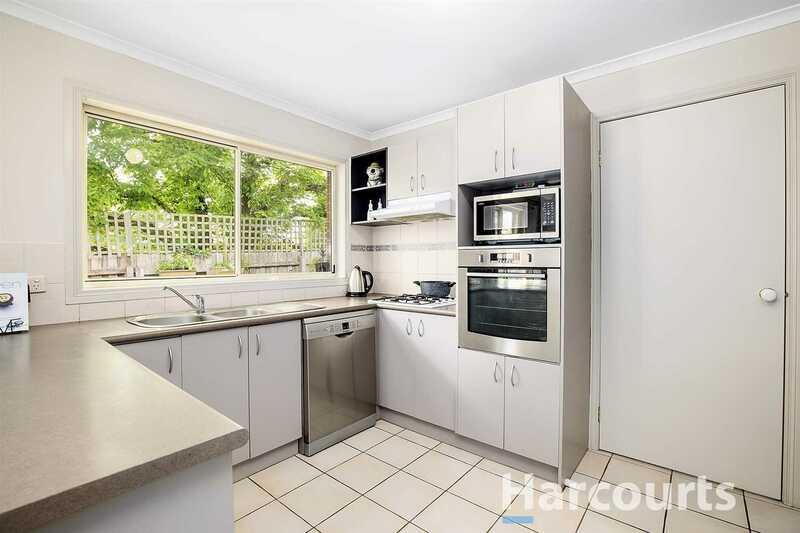 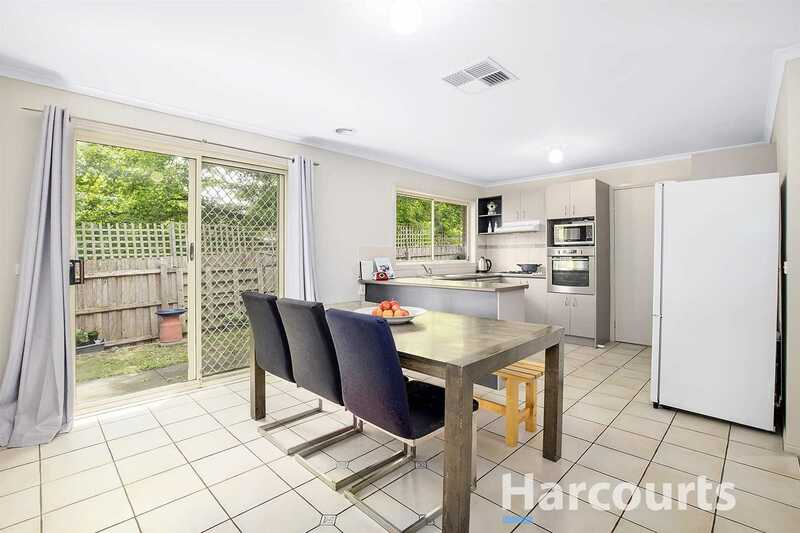 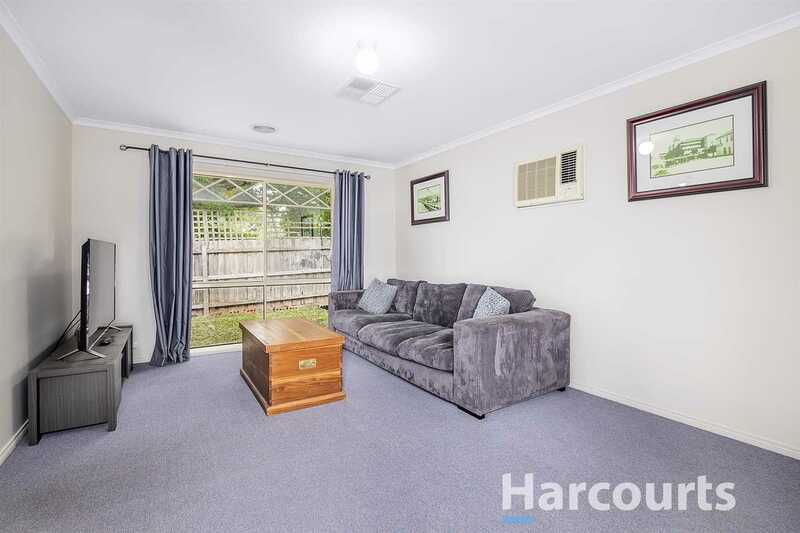 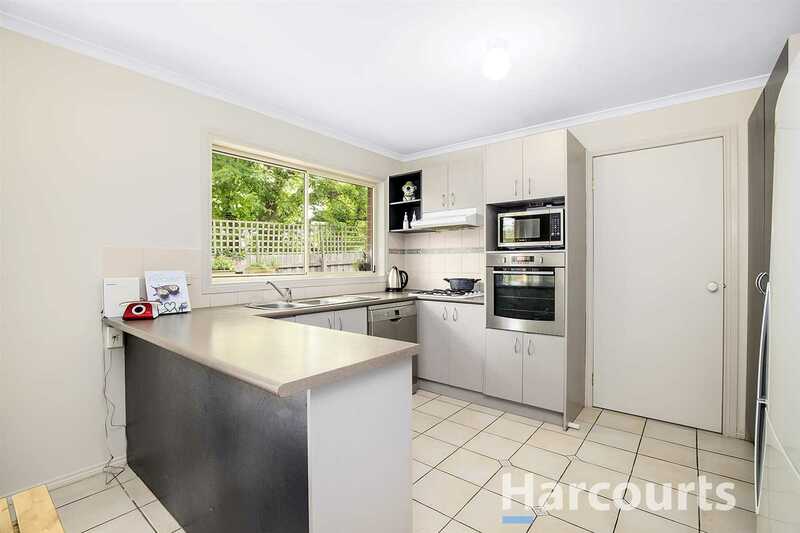 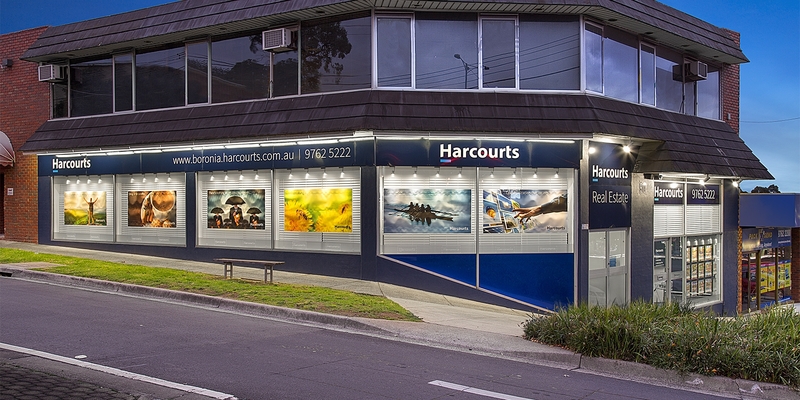 Surprisingly spacious with 2 living areas and a generous yard, this secluded 2-bedroom brick veneer unit offers a perfectly peaceful lifestyle in one of the most picturesque streets in Ferntree Gully. 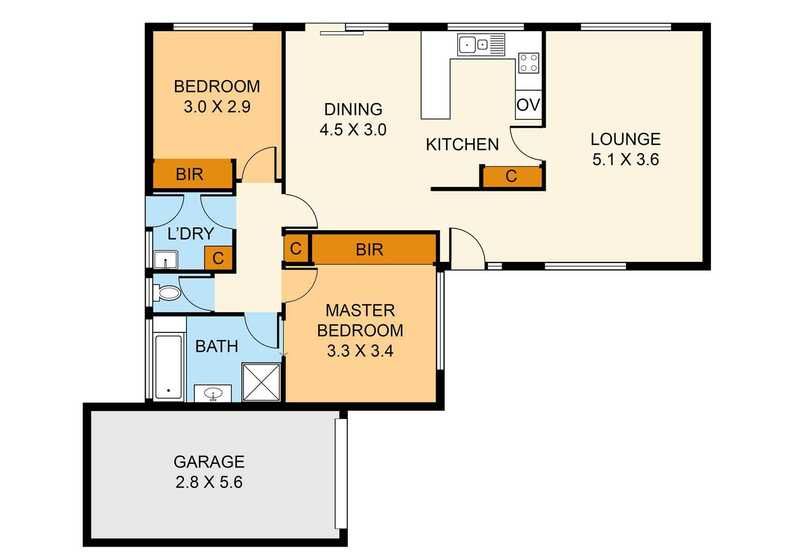 Nestled at the rear with its own single garage and adjoining car space, the contemporary setting impresses with a hi-tech kitchen appointed in a Westinghouse self-cleaning oven, whisper quiet Bosch dishwasher and a gas cooktop. 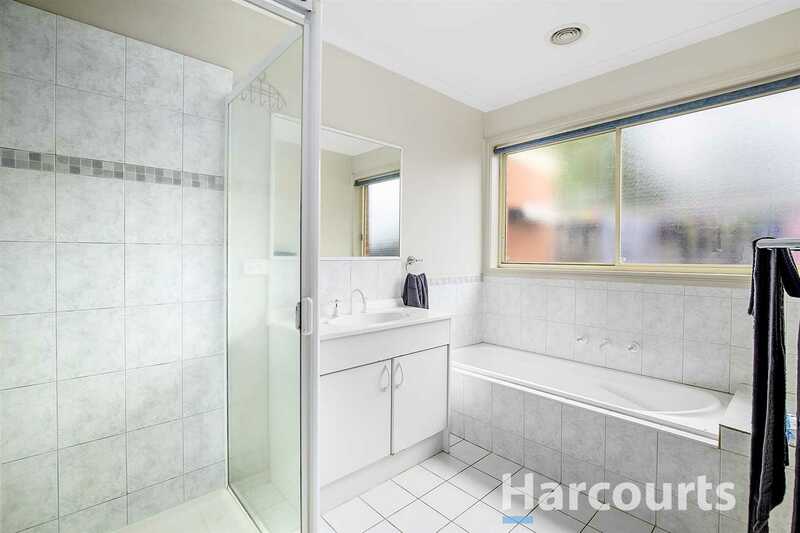 A privately zoned bedroom wing features an ensuite effect bathroom with rainfall shower, and the privacy of a separate toilet. 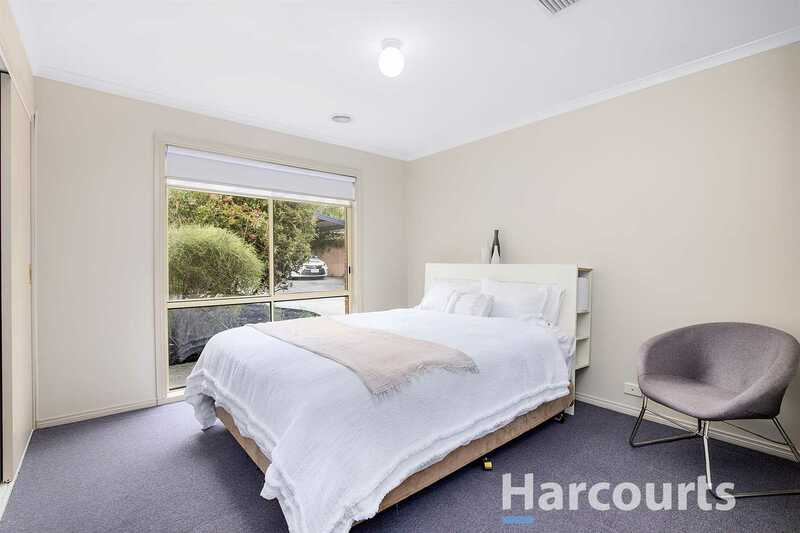 Ready to move in and enjoy with day and night roller blinds, ducted heating, evaporative cooling, and a securely gated yard for those with young children or pets. 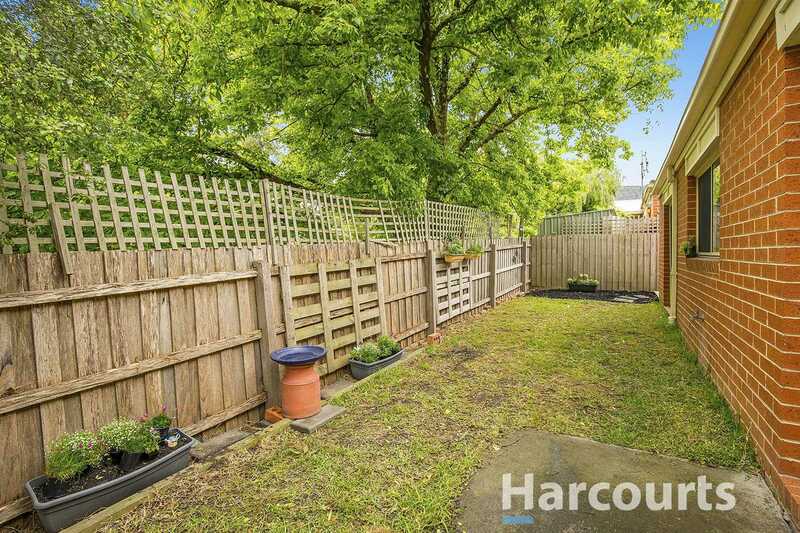 With no adjoining house alongside the outdoor area, there's a sense of real sanctuary from this shady corner. 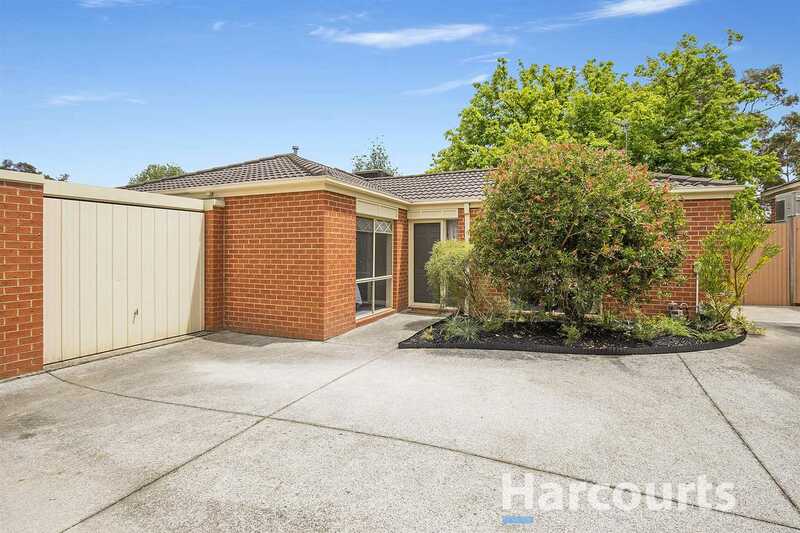 What a way to start out in property - either for your first home or investment - in one of the most scenic and central positions at the foothills.